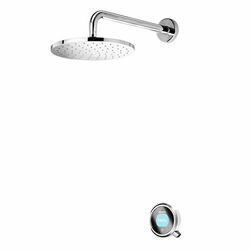 Aqualisa Q > Q Smart 16W, Round Shower Head, Arm & White Accent (Gravity). 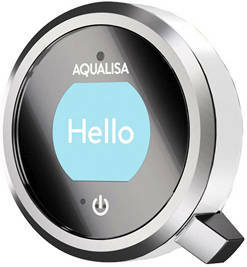 Aqualisa Q Smart digital shower pack 16W for gravity pumped systems (thermostatic). Complete kit with mixer unit, controller, 250mm round shower head, wall mounting arm and polar white accent pack. Q Smart collection (shower pack 16W).